Christmas 2015: Compassionate care fund for needy patients, and orphan outreach needs (sustainable tea plantation, food, clothing, and education). This was the first year that we truly began to experience the joy of being the conduit of your blessings to those in need around us during Christmas giving. We still support the Surgical Compassionate Care fund through our personal ministry account when patient needs arise (www.wgm.org/missionary/many). 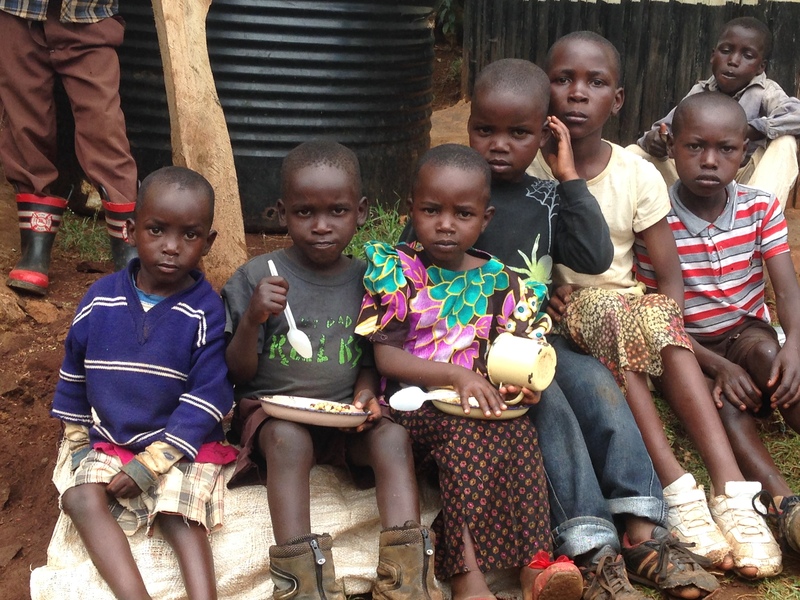 The orphan outreach ministry has become more self-sustaining through farming efforts and local churches. Christmas 2016: Ultrasound machine. This machine is one of the most useful pieces of equipment that we have. It is literally almost in constant use. We use it for assistance diagnosing life threatening problems in the middle of the night, for guidance with invasive procedures, to evaluate cardiac function in our critically ill patients, as well as many other purposes. It also allows our residents to become highly skilled in performing and interpreting ultrasound. It is really an amazing tool. Christmas 2017: IV Pumps. Many of you came out big-time to support this project. We were able to purchase 30 IV pumps which have dramatically improved the quality of care in our critical care units and on the obstetrical ward. We can now safely give medications which require precise dosing. Particularly in our critical care units, we have been able to better care for our many patients with septic shock as well as provide IV nutrition that had previously been difficult to do. Christmas 2018: Resident Housing: Our calling to Tenwek Hospital was based on the need for well-trained surgeons in the developing world. Since we have been in Kenya, additional world-wide data has been published suggesting that roughly 5 billion people do not have access to safe, timely, affordable surgery and, not surprisingly, the people most affected by this fact are those in the developing areas such as sub-Saharan Africa. We are privileged to be a part of an amazing program that is training Christian surgeons in rural Africa. Currently we have residency programs in general surgery and orthopedic surgery. Graduates from our general surgery program are all working in East Africa, many of them in mission hospitals. The orthopedic program will graduate their first residents this year. However, we have been given a big opportunity to expand residency level training at Tenwek even further. At the beginning of 2018, we accepted our first Cardiothoracic fellow into a three-year program. Tenwek is also moving forward with starting an OB/GYN residency program through the Pan-African Academy of Christian Surgeons with a tentative launch date as early as 2020. There is also enthusiasm for starting a neurosurgery residency program in the next few years. All of this is exciting and has the potential to make a big impact on health care in our part of the world. However, we have reached a major road block in our efforts. We have no housing for these trainees and will not be able to advance these programs until suitable housing is built. Because of our rural setting, suitable housing close to the hospital is not available and therefore the hospital has to provide housing for those working at Tenwek. Currently we have housing to accommodate 23 residents. To begin any new program we need 16 more, but ultimately need about 35 more to allow us fill each of the proposed new programs as well as the existing ones. We have located property for a new apartment building which will house between 10 and 16 new resident trainees. Once this is built, we can then begin these new programs. The estimated budget for the building of this building including all the furnishings is $650,000. This is a lot of money. However, if you think about it, this investment is a good one… one with long-lasting impact and eternal value! Our current buildings have allowed for the training and graduation of 12 surgeons with an additional 19 currently in the program who will graduate in the next 5 years. Additional housing will increase this number substantially as well as allow expansion of specialty training for many years to come. Are you willing to invest in equipping the next generation of physicians in East Africa and thus improve healthcare in an area with incredible need? This CyberMonday, GivingTuesday, and Christmas season, consider spending money on sharing Christ’s love through medical training and discipleship! To give, visit Friends of Tenwek donation page here… and choose “Resident Housing Fund” on the drop-down menu. “There’s a FIRE!” These words interrupted our family movie night almost three weeks ago (February 9th) as our 11-year-old neighbor burst into our house, holding a lantern high, calling out the warning. Over the next several hours, a fire destroyed one of the buildings of Tenwek Hospital as Heath worked to evacuate patients, and Angela held vigil with several missionary kids ready to evacuate the compound if needed. After our neighbor’s warning, we quickly stepped outside onto our porch. The first thing we noticed was the sound of screaming and wailing. Living so close to the hospital, it is not unusual to hear wails of mourning when someone dies. But the wails were much louder than a typical mourning of death. Also immediately noticeable was the thick dark smoke in the sky above the hospital, which sits about 100 yards up the hill from our house. Heath left quickly to go check out the situation. 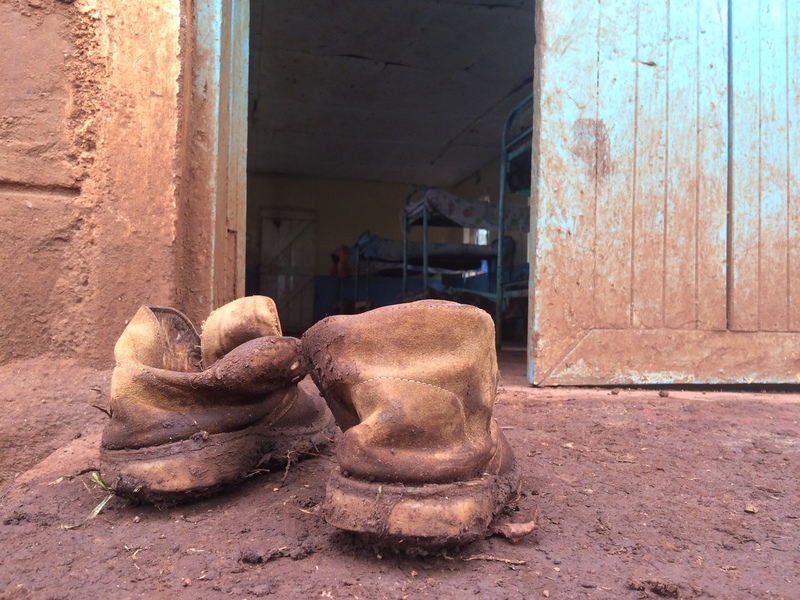 Fire in rural Kenya is a powerful and deadly force. Everyone living here knows it to be so. History has shown fire-fighting capabilities to be unreliable at best, and built-in containment and extinguishing methods are absent. No automatic sprinklers were present to come on. No fire-safe doors were present to close. No fire alarms sounded…only the screams and wails mentioned earlier, which grew louder and louder over the next few hours as villages even miles away saw the increasing flames and joined in expressing their fear and grief. The first fire truck came from the next county, about 2 hours away. When the truck arrived, the water hoses attached to rain tanks in the truck didn’t stand a chance against the inferno. So when Heath ran up to the hospital, he had no false sense of peace that help was on the way. The building on fire was the first building inside the staff gate. It housed the kitchen, restaurant, several offices (research, statistics, visiting staff, and social work) on the top-level; and laundry, sterilization, and a patient ward (Wound Ward) on the bottom level. Heath saw that the patients from the Wound Ward were almost all evacuated. By this point, the flames were massive. Heath found one of the other surgeons, and they tried to keep people away from the fumes and fire. Attention was quickly turned toward evacuating patients closest to the fire. The orthopedic ward was in an immediately adjacent building, so Heath made his way there to find that the power was out and patients were screaming for help. Although there was no fire in this building, huge flames were easily seen from the windows, and the heat of the flames could be felt by the patients who were stuck in their beds due to their orthopedic injuries. After getting some help, these patients were moved out on stretchers or dragged on mosquitos nets to an area further away from the fire. While the fire continued to grow, Heath joined other physicians and staff who were starting to evacuate the intensive care units. Knowing these patients well, Heath stayed with these critically ill patients who had been moved to the maternity ward and the recovery room. By the grace of God, there were no patients on ventilators. Efforts were coordinated with a visiting team of pediatric critical care nurses and physicians to get our sickest children under their watchful eye in our recovery room area. This freed Heath up to more closely monitor the intensive care patients who were moved to the maternity ward. He recruited a couple of visiting medical students to help him with these patients. Because there was no advanced monitoring, patients were closely monitored by sitting at their bedside and monitoring their pulses and respirations. Thankfully, all patients did well. Meanwhile, other physicians and nursing staff evacuated the less critically ill patients to our new eye building. Patients were pushed up hill along a rough dirt and gravel road to reach the eye building which was temporarily converted to a patient ward. Many patients who could walk simply fled the hospital by jumping over fences and making their ways through fields and small farms to get far from the flames. One young patient who was in the hospital getting care for severe burns panicked so much at the thought of being burned again that she ran 2 miles to the nearest small town. In the eye ward, trouble arose when oxygen began running out. Fortunately, by this time the fire had largely burned itself out, and it appeared that it would not spread to the rest of the hospital. The patients requiring oxygen were quickly transported back to the main hospital wards, which was a dicey event due to a lack of portable oxygen tanks. Again, despite a few moments of desperation, all patients were successfully transferred back. Next, the critically ill patients were transferred back to the intensive care units. During this entire event, our visiting pediatric cardiac team was operating on one of the most challenging cases of their entire visit. Due to difficulties getting the child off the cardiac bypass machine, the surgery went into the wee hours of the morning. Despite being in a hospital on fire, they continued to operate, and ultimately the child was weaned from bypass and brought to the recovery room well after the last flames had gone out. While Heath was busy moving patients, Angela hosted a “safe-house” where several families and missionary kids (whose parents were up helping with the fire) hung out waiting to possibly evacuate the compound. Everyone had passports and cash in the car, ready to drive away if the fire began to spread. From our perspective down the hill, we could see only a wall of giant flames, with no knowledge of how much of the hospital was burning. Our sky was filled with thick smoke, the loud sounds of popping glass and tiles, and the African-styled wailing. Cell service was down, so communication was very limited. Rees and Mary Taylor stayed calm despite their fears, and used what they had to help calm the younger children (songs, stuffed animals, prayer, and encouraging words). We praise God that the fire was contained to one building, and specifically, that the Boiler and Generator buildings were spared. We remain amazed at His protection over patients, staff, and volunteers…NO one was injured! We are grateful for the stone walls and cement floors that likely helped to prevent further spread. Wood fencing, edging and roofing were torn down manually during the fire to also help prevent spread. We are also grateful to all of the staff and community members who bravely fought the fire with buckets of water and small fire extinguishers. Pastoral staff and a counseling team were on site the next morning, meeting with staff, patients, and community members for post-crisis intervention. Many staff and families have gathered to share their stories with each other and have participated in counseling provided. We have had an incredible outpouring of support from the community, county and national governments, and international partners. Hope from the ashes…A beautiful promise over the destroyed building! For the current time, Wound Ward has been relocated to the former Eye Ward. Kitchen services have been temporarily shifted to the Tenwek Hospital College of Health Sciences Kitchen. The lower level services of Sterilization, Laundry, and Tailoring were restored within the first week. The offices on the main floor of the building are being relocated to other areas. Therefore, the hospital is back in service! Tenwek Hospital Administration is now evaluating the best ways to restore services long-term and fulfill the ministry of Tenwek Hospital. Even this week, an engineering and architectural partner will arrive to give input. THANK YOU to those who stepped in so quickly to contribute financially toward the rebuilding process. Many of you give faithfully already to our ministry here, yet you have responded readily in our time of need. “Thank you” seems so insufficient! If you still wish to give toward the recovery effort, please give through this link: Tenwek Hospital: Fire Recovery. We hope to have ability to not only rebuild, but to also install some appropriate fire safety and prevention measures throughout the rest of our hospital. At some point in 2004, I walked out of the Univeristy of New Mexico Hospital with a smile on my face. I had just completed my last day on the trauma service. No longer would I be up in the middle of the night taking care of labor-intensive injured patients. No longer would I sit for hours in the ICU taking care of the sickest of sick patients while others operated on the “interesting cases.” My career path was taking me towards the aspect of surgery that I loved the most- operating, operating, operating. I was happy to be in the OR all day while critical care specialists helped take care of the sicker patients whose care I was involved in. I spent the first decade of my career as a busy, private practice surgeon which meant I spent a lot of time in the operating room. I loved it. But as our family transitioned to Kenya it became very apparent that good outcomes in complex surgical patients at Tenwek were hard earned. Yes, a technically perfect operation is imperative, however, a good outcome depends on much more than just a good operation. Technically difficult operations could be completed, however, patients who became sick after these procedures or who were admitted to the ICU after life threatening trauma often times died when they shouldn’t have. Was it my care? Was it the residents’ lack of knowledge of critical care medicine? Was it our monitoring capabilities? Was it nursing? Was it specific problems in our rural Kenyan population? The answer to all of these questions was yes. And there are many more problems. The bottom line is that it is largely a systems issue. We as physicians like to tackle specific diseases and problems, but we often times neglect the development of a system of care that can be applied to a broad range of patients. It became clear to me that we can teach our residents how to be expert operators- even at advanced techniques such as laparoscopy that are rare in rural Africa. However, until we develop a better system for caring for the critically ill, outcomes in our sickest patients are not likely to change. 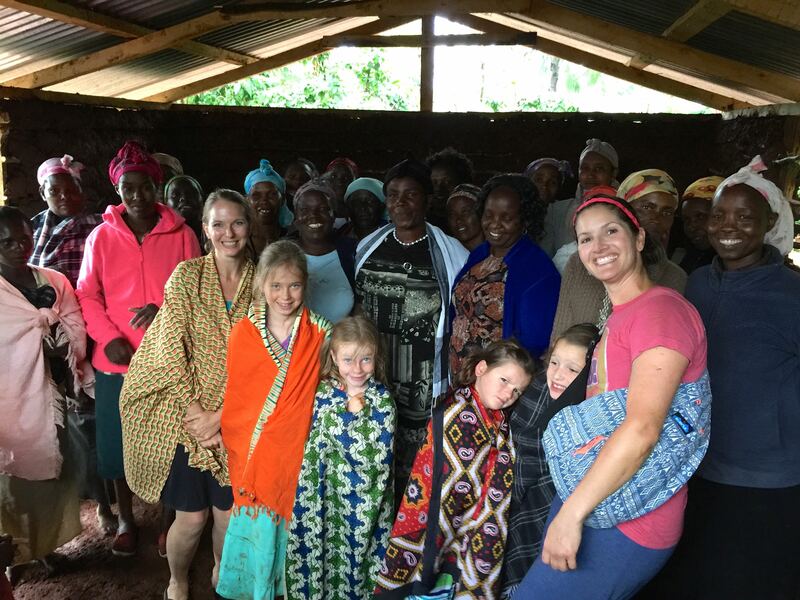 As our first term in Kenya was coming to an end in June of 2016, we began to think about how we would spend our time in the U.S. Angela and I had decided that we wanted the girls back in school for a complete school year. Angela wanted to mainly focus on helping the girls transition back to the U.S., and I hoped to be able to work. But as I thought about working, I felt like my time would be best spent by trying to learn things that I could take back to Kenya. We discussed the possibility of me doing a fellowship in surgical critical care and ultimately decided to ask around to see if there were any available fellowships spots. Fellowships are additional training programs that physicians can do once they have completed a residency. To be a cardiologist, one does a fellowship after a medicine residency. To be a heart surgeon, surgeons will do a 2 or 3 year fellowship after their general surgery residency. Surgeons can do a year of specialized training in surgical critical care which prepares one to care for the sickest of sick surgery patients. In practice, most surgical critical care specialists are also trauma surgeons due to the fact that traumatized patients often make up a large percentage of patients in a surgical ICU. In the current era, the evolving specialty of acute care surgery has emerged, which encompasses surgical critical care, emergency general surgery, and trauma surgery (which makes up a huge chunk of what we do at Tenwek). Most practitioners of this specialty in teaching facilities are board certified in surgical critical care. And so, my hope was to find a fellowship which would allow me to do this. After sending out multiple inquiries, we were delighted to hear that the program at the Univerisity of Tennessee in Knoxville was willing to allow me to join them for a year as one of their surgical critical care fellows. I couldn’t be more grateful to the trauma and critical care faculty at UT who helped create a spot for me. They allowed me the freedom to spend time learning skills would be beneficial to the work at Tenwek. I was even able to spend a month at Parkwest Hospital (the hospital were I worked prior to going overseas) working with the cardiac anasthesiologists learning how to take care of cardiac surgery patients. However, the year of training had its struggles. I felt all of my 43 years of age during the busy call nights. Recovery after these busy call nights took an extra day or two more than it used to. Time with our family was more limited than we had hoped after being away for a couple of years. However, it was a privilege to have the opportunity to sink my teeth into learning the nuances of trauma and critical care surgery. Now as we transition back to Tenwek I am looking forward to putting new knowledge to work. Like many other areas of medicine, modern critical care capabilities are lagging in the developing world. 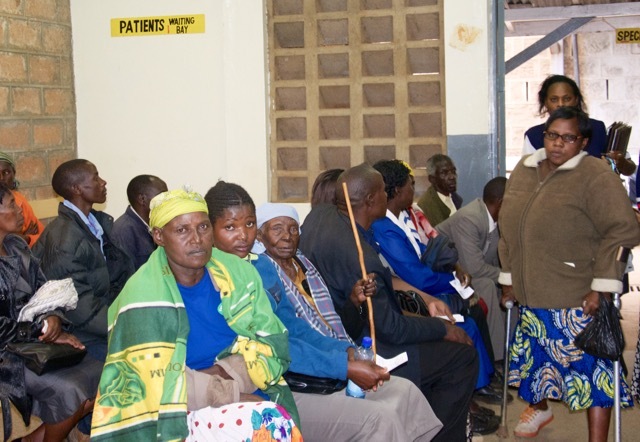 In Kenya, there are nicely developed critical care units in some of the larger hospitals in Nairobi, however, distance, money, and transportation issues limit access to these facilities for a large percentage of the population. Fortunately, the need for surgical ICU development in low and middle-income countries is increasingly recognized. A nice article by Drs. MacLeod, Kirton, and Maerz was published in 2016 highlighting the incredible need for critical care development as well as possibilities for a way forward in development. Here is the link to this article for all of you as nerdy as me: Surgical Intensivist and global critical care: is there a role? The authors point out staggering statistics such as the fact that 90% of deaths due to trauma world-wide occur in low and middle-income countries. Each year, 8 to 10 million children under the age of 5 die, however, 90% of these deaths occur in the 42 poorest countries. Many of these deaths could be prevented by access to critical care services. Although ICU’s in the west are often thought of has being high-tech, expensive, sophisticated units, the authors correctly point out that major improvements in patient outcomes can be achieved by implementing basic tenets of critical care. It is my hope to continue to make improvements in the way we deliver surgical critical care in our relatively rural setting at Tenwek, but more importantly, to educate our residents so that when they leave our program they are capable of ministering to the sickest of sick. A TEACHER!… We have a teacher preparing to join us in Kenya! Grace Williams graduated from Johnson University in Knoxville in 2016 in Early Education. She heard of our need for a teacher through our video shared by her Education Department. Realizing that she had the skill set, desire, and ability to help meet this need, God worked through her heart and circumstances to bring her to a willingness to serve with our team. 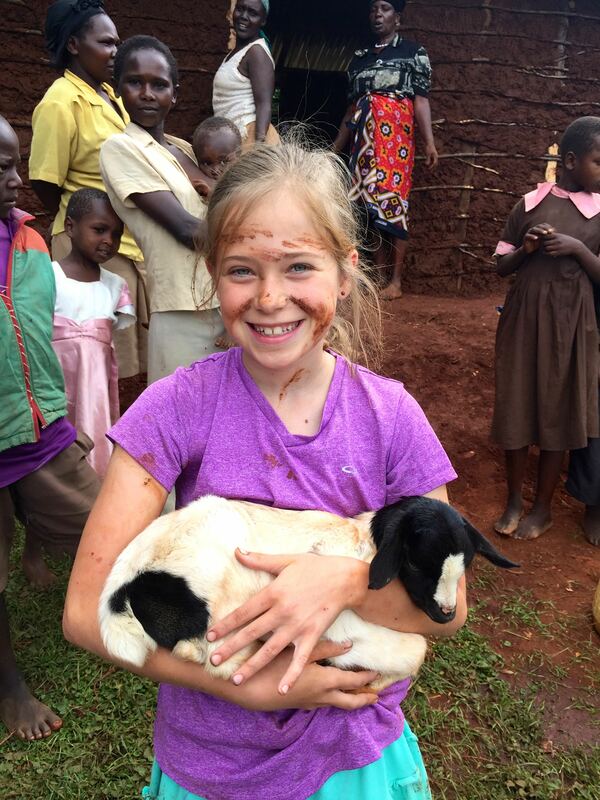 She will be teaching 3rd and 4th grade missionary kids and working with children’s ministries at our Kenyan church. I know she will be a huge blessing to our family and the rest of our team! Please pray for Grace as she takes this step in faith to live and work in Kenya. Grace will be raising her own support for this year. If you would like to contribute to her financial support, click here. An ULTRASOUND machine!… Thanks to the generous donations of several couples, a matching gift from Friends of Tenwek, and a discount given by Sonosite, we were able to purchase a new Ultrasound machine for Tenwek for use in the surgery department. This is a new machine with fantastic imaging capabilities that will add immensely to our patient services and resident education. The machine has arrived and is already in use at Tenwek! 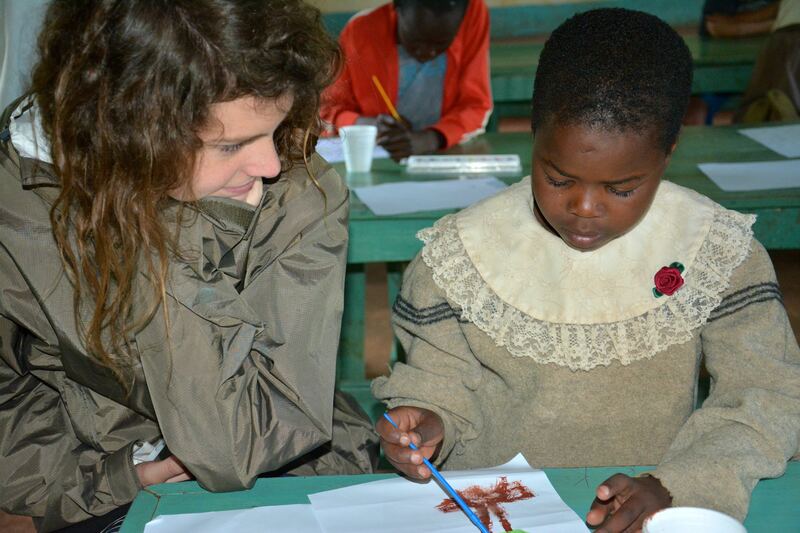 EDUCATION for an orphan… This is always an ongoing need! As I have shared before, education is one of the BEST investments in helping vulnerable children rise above poverty and other risks. 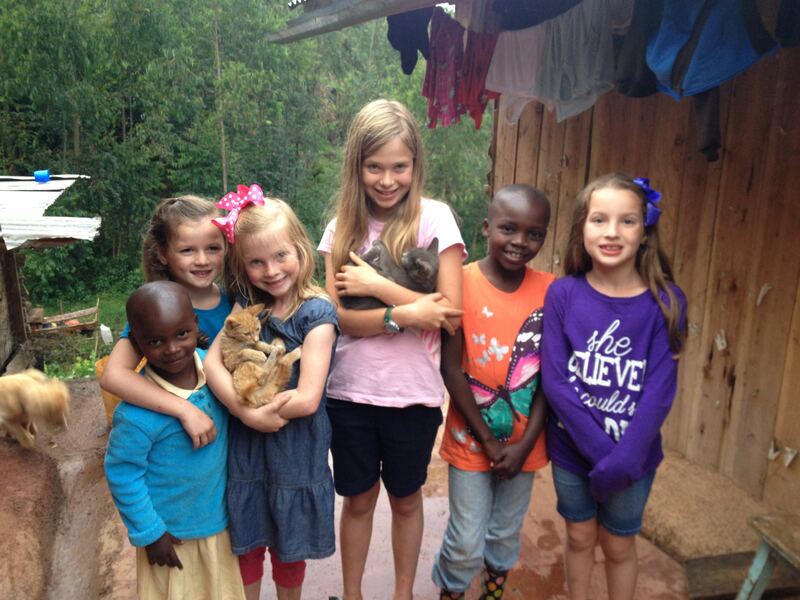 We have had many friends and church groups invest money toward our Tenwek orphan scholarship fund. Thank you! 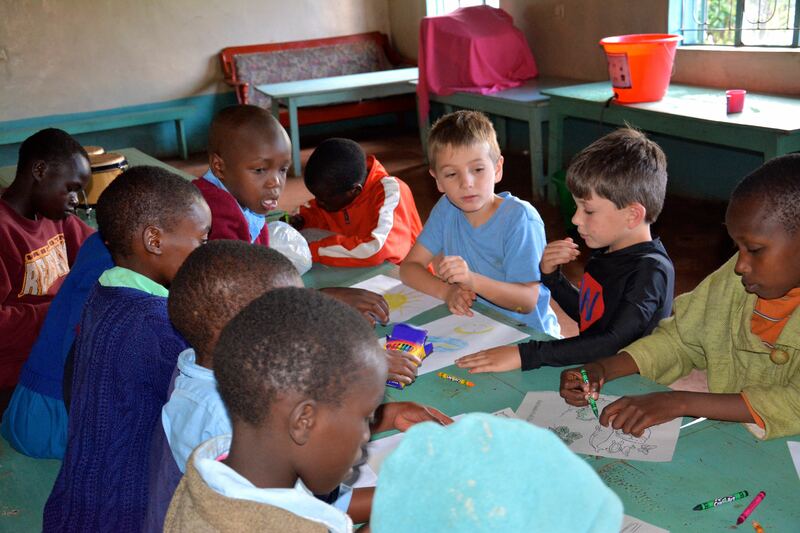 This week, Mary Taylor’s grade at school held a “Coins for Kenya” walk to raise money for a child’s school fees. They learned about the difficulties that many children face in going to school and brought in their coins to help pay for a year of schooling for a child in Kenya. I pray that God will move in these young hearts to know that they are a part of His story, and that even they can be used to show His love to others around the world! If you feel led to help sponsor a child’s schooling, click here. Tis the season! No better day than “Giving Tuesday” to roll out my 2nd annual Grown up Christmas List! Even though this year we will have the joy of celebrating Christmas in America, our hearts and minds are still with our Kenyan friends and neighbors. Throughout the past few years, our vision has grown bigger, our passion deeper, and our excitement greater about what God is doing in East Africa through Tenwek Hospital, our PAACS graduates, and our local Kenyan church. Although it has been humbling and challenging to live and work in an area of the world with such great need, it has also been rewarding beyond measure. 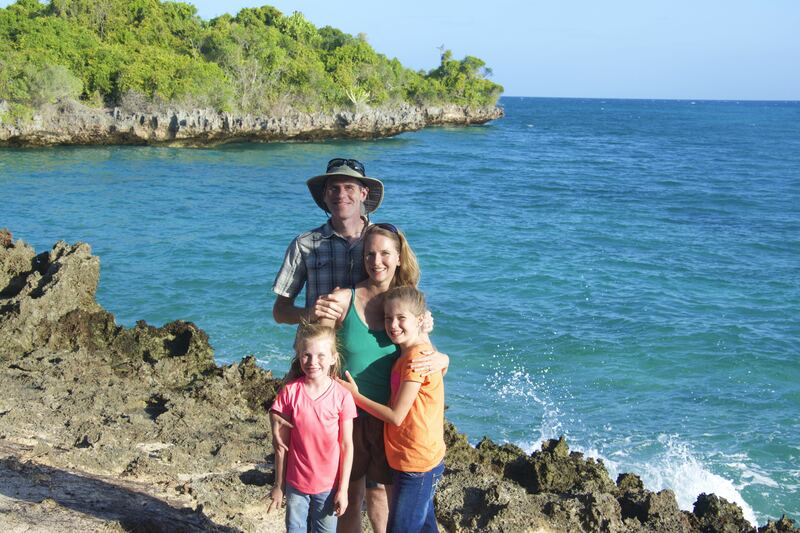 I know that our blog has been silent since our return to the US this past summer. We have found it difficult to express in words the ups and downs of living between two “homes.” Returning to the US with fresh eyes has been interesting! Maybe we will share more in a future post about the good, the bad, and the ugly of this fresh perspective. But one surprising outcome of our experience so far in serving as “missionaries” is the amazing way that God has allowed us to connect so many people within our circle (and even beyond) to His work in the world. Ironically, even though we have “less” by the world’s standards now, we have been able to GIVE even MORE…by being conduits of your blessings which have been given so generously. 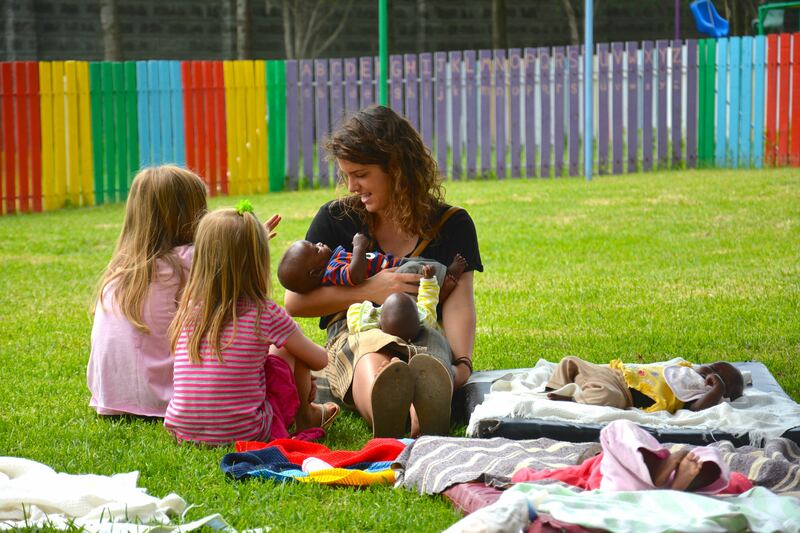 We have been continually amazed at how God has used YOU (our community in America) to bless our community in Kenya! So in this season of giving, we wanted to again highlight some needs near to our hearts. If you are hoping to make a real difference with your dollars this Christmas season, instead of more online shopping for more “stuff”…consider one of our wish-list items below! 1. EDUCATION for an orphan.. 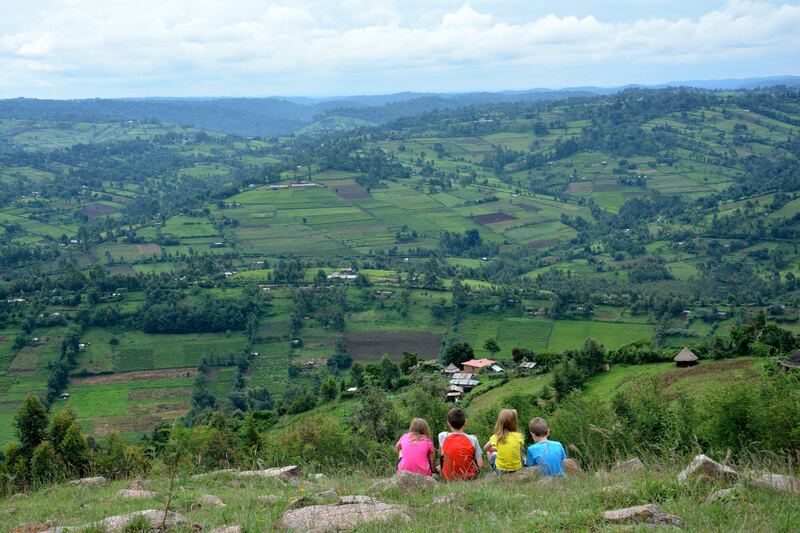 Schooling in Kenya is not free…One year of tuition and required school fees (books, uniforms, food, etc.) costs about $500 per child. 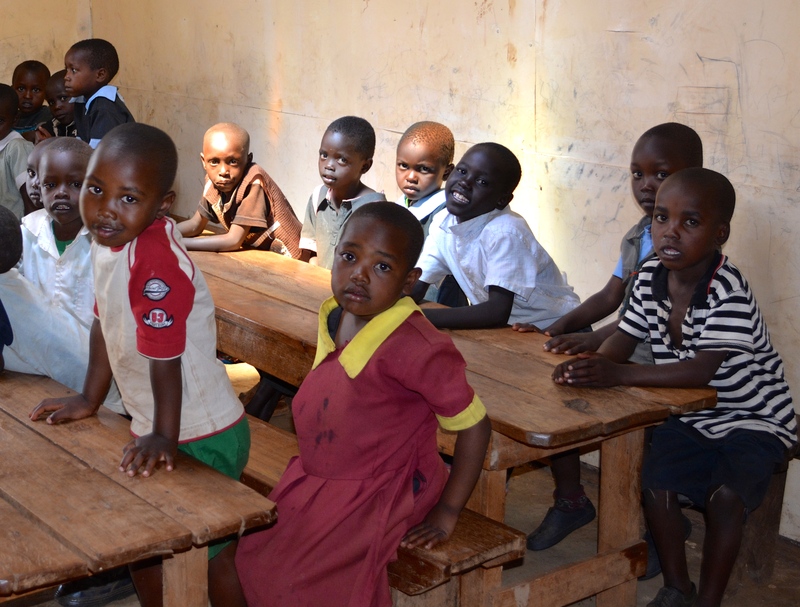 Orphans are especially at risk for not progressing through school due to lack of financial support among other factors. Access to education for orphans and vulnerable children has been directly linked to improved health, wellbeing, and long-term outcomes. Our local children’s homes care for about 350 orphans who rely on donations to provide this critical opportunity for education. Could you give a child the gift of knowledge and opportunity this year? If you can’t give $500, any amount does help! If this need speaks deeply to you and you have interest in a commitment each year to sponsor a child’s schooling, please contact me for more information. Ultrasound is a vital tool for patient care at Tenwek Hospital. Our radiology department does about 50 patient scans per day, leaving little availability for ultrasound use in surgery, in evaluating trauma and critical care patients, or in teaching residents these important skills. We are in dire need of an additional ultrasound machine devoted to these purposes. We are raising funds to purchase a Sonosite M-turbo portable machine. Sonosite has offered a generous discount, and Friends of Tenwek organization is contributing 50% of the needed funds! Could you help us in raising the additional 50% needed to acquire this important tool for improving patient care and training? OK, so this isn’t something that money can buy at all, but it is my biggest wish! Our Tenwek community is in need of two teachers committed to helping with educating our missionary kids. This important job impacts our ministry in such a big way! If you or someone you know is a teacher licensed for elementary or middle school with a heart for missions and a willingness to consider serving with us in Kenya, please contact us! Help spread the word! 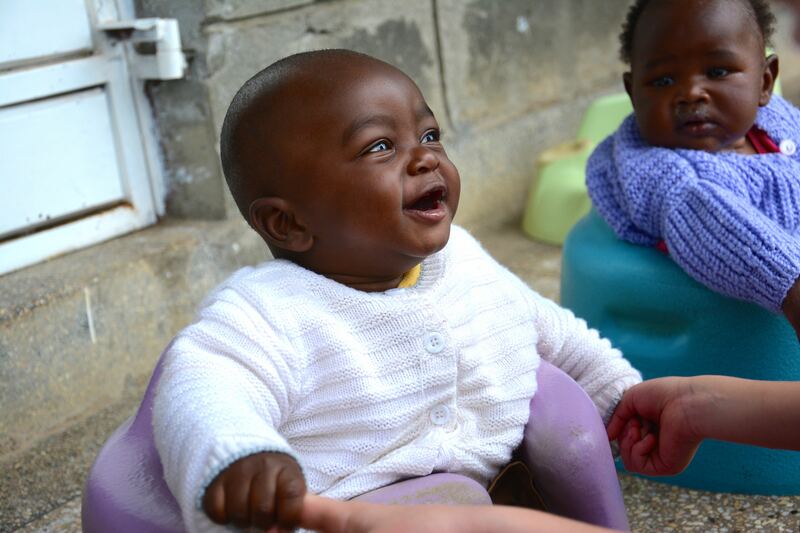 Thank you for considering supporting our Kenyan community and our work at Tenwek Hospital. We look forward to returning to Kenya in 2017. Thanks to our amazing partners, we have 95% of our needed monthly funds for our return already committed! Are you interested in joining our support team? If so, contact us to learn more, or donate directly toward our ministry . We are in currently Knoxville, where Heath is doing additional training in critical care at UT Hospital, and Angela is working to juggle our family’s transition. If you would like to connect, please contact us! It was early Sunday morning and our team had been up late the night before operating on a premature infant with an intestinal blockage. I am usually grateful when there is just one big problem to handle during a weekend of call, but that was not to be this weekend. At about 4:00 am, I was informed by the senior surgical resident that a woman with extensive burns had just arrived to Casualty (our ER). I briefly contemplated taking a shower, but instead prioritized coffee intake, then walked up the hill to the hospital. It was easy to find the patient…her burns extended onto her face which was not hidden by the white sheet which covered the rest of her body. The resident, Valentine, filled me in on the story: The woman lying in the bed was a mother to two young children who were playing inside of their house around an open fire. An open fire is a common enough occurrence in Kenya since it provides the means of cooking in most homes, but what evolved into an uncommon situation was that the two children began playing around the fire with a container of kerosene. Fortunately, the mother quickly recognized this and took the container from them. Unfortunately, the kerosene spilled onto her shirt, soaking it thoroughly which was then ignited by the fire. The fire was quickly extinguished, but not before burning the majority of the skin on her body. She travelled to a nearby hospital and then was sent on to Tenwek, now some 8 hours after her injury. Together, our team examined her. She was completely awake and alert and was able to have a normal conversation with us. As expected, she was in some pain, but it was reasonably well controlled. Her burns were extensive…her back, chest, arms, and face were covered in second and third degree burns. In total, just over 60% of her skin was burned. In the U.S., a patient with a 60% body surface area burn is a challenge…so much so that these patients are usually transferred to a specialized burn center to be cared for by burn specialists. Surviving a burn that involves 60% of the skin is possible in the U.S., but even with specialized care about half of these patients (depending on age) will ultimately die from their injury. In western Kenya, where there are no burn specialists and where hospitals are not equipped to take care of a patient of this complexity, the chance of survival is close to zero. And so, as we are assessing Mary, the extent of her burns and the reality that she will almost certainly die from these burns becomes clear. As a missionary surgeon, I am charged with displaying Christ in both word and deed to my patients. The deed part comes naturally to us as surgeons. We like to fix things. We like using our hands and minds to correct a problem so that we can see a person healed. This paves the way for us to sometimes share, by word, who Christ is. Often times at Tenwek this is done by our Kenyan chaplaincy staff who can speak into spiritual matters with better cultural and language insights that I can. I am always grateful for our chaplains because, quite frankly, I am at times uncomfortable doing their job. I do not want the patient or family to think that the only way that I, the white guy, will provide care for them is if they agree to my religion. The reality is that there is an imbalance of power between us as physicians and our patients. We have knowledge, skills, ability, and resources that a desperate patient needs. Does my sharing of Christ in word coheres a patient? Possibly. Therefore, my approach is to display Christ primarily in deed by taking care of a patient’s physical needs. But on this morning, I have little to offer this patient this patient medically. We explained to the patient and her family the extent of her injuries and the likely outcome. We give them the option of not doing any treatment, of just keeping her comfortable, but they refuse and ask us to do everything we can, to which we agree. We will need to intubate her- place a breathing tube- for which she will be sedated and communication will be difficult. Valentine, in Kiswahili, asked the patient about her faith. “Do you know Christ?” She does not, but after Valentine spends time telling her about who Christ is, she decides to give her life to him. We all pray together: the patient, her family, and our team. We prayed for healing and for comfort in the midst of a lot of pain. Tears flowed from her husband. After this we wheeled her to surgery…it was the last time she would talk to her family. Skeptics might say that her faith was not genuine. They might say that she was scared for her life, or rather, her coming death. Some might even say we took advantage of this to achieve our own desires to “win people for Jesus.” However, the only place where we can fully see Christ is when we are stripped of everything. Only when we realize the frailties of our flesh, the briefness of this world, and the passing of material possessions can we truly see our need for the cross. And so, very likely, this lady came to know Christ in deeper ways than many of us who have followed Christ for years. But my role is not to be a judge. Instead, I am called to be a witness in a time of great need- a need that cannot always be met by modern medicine or years of training. All things considered, our patient did well over the next 3 days. We worked hard to replace liter upon liter of fluid that she was losing because of her burns. She remained on a ventilator. We kept her pain controlled with IV pain medication. On what would have been her fourth day in the hospital, I arrived to ICU rounds to find her bed empty. She had died during the night. Generally, as a missionary, I want to tell of stories of success, stories of great healing where God used me as his instrument to bring someone back from the brink of death. I want people to applaud the medical work that is done at Tenwek. This is a human mindset- and one that is self-glorifying. While there are truly amazing things that happen here, I have come to understand more completely that not all acts of healing are physical. Not all great interventions involve the use of sterile instruments and suture. For Mary, healing was achieved apart from these things. A thrill of hope…the weary world rejoices! As we sang Christmas carols at our Christmas Eve church service, a familiar and heart-wrenching wailing began in the background, coming from the direction of the hospital. We all know what this sound means…Someone has just lost a dearly loved one. You see, it is rarely a “silent night” at a hospital. 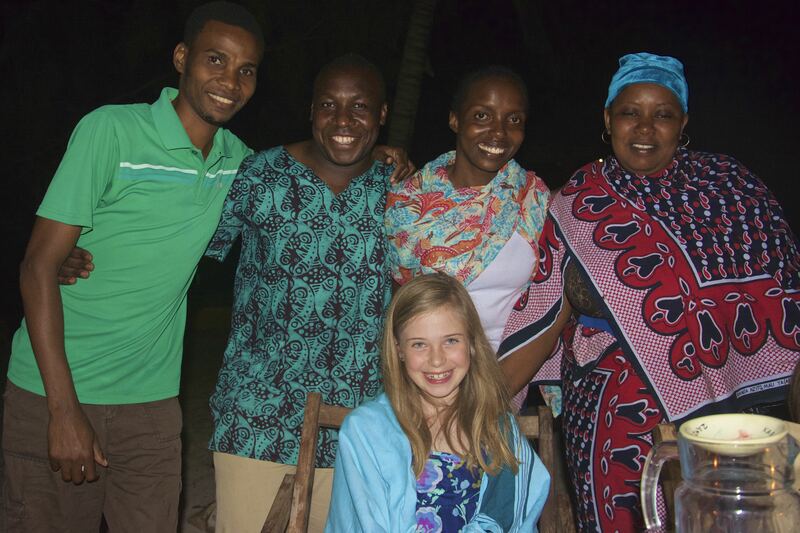 We have just celebrated our second Christmas season in Kenya. It has truly been filled with such joy! But amid the joyful celebrations and rewarding service opportunities, we are surrounded here by constant reminders that we still live in the “messy middle.” This term, “messy middle,” has been used by different people in different ways, sometimes to describe the timeframe between the starting and completion of a goal. But here, I mean the time between the arrival of Christ in human form as the promised redeemer of mankind…and His anticipated return to restore harmony, true PEACE, to His creation. The struggles of this “messy middle” are not unique to Africa…they are just more intense here… more “in your face” so to speak. The pain of disease, illness, loss, grief…it touches us all at some point. In America, we tend to hide it away if possible. But in this place, a stone’s throw from a hospital in a region where most people live on less than two dollars a day, there is no hiding it. And so we hear wailing while singing carols. Or there’s the Christmas party, interrupted by an urgent request for blood donation for a patient undergoing emergent surgery after a trauma. And there were hundreds of families displaced on Christmas Day in a neighboring county, their homes burned down due to fires set from inter-tribal conflicts. And men with arrow wounds presenting to Tenwek from these same conflicts. And there are daily knocks on our door, asking for help due to these and other struggles. Life is messy. So, yes, we celebrate Christmas with deeply grateful hearts…as this miraculous coming of Christ to earth gives us hope and promise of things made right and new…and we also longingly yearn for His rule as the true Prince of Peace. This promise gives us true JOY and HOPE even in the midst of pain and suffering. So we strive to LOVE as He taught us…seek PEACE where we can…DEFEND those with no defender…and build God’s kingdom here on earth until He comes to complete the task. We were able to “take” Christmas to one of the local orphanages, Kinduiwa home. It was a fun and humbling experience. We have such respect for the Kenyan pastor and his wife who are committed to the challenging task of raising these children in a safe and loving environment despite very limited resources. The kids were thrilled to all receive new clothes! Tinsel neck-ties were quite popular! Each child also got a bag with an orange, toothbrush, toothpaste, soap, pen, pencil, and lollipop. Oranges were big treat since fruit is rarely served. The kids were so excited about their gifts! We colored crafts to go with our story. The kids helped with telling the Christmas story. It was a beautiful day to play outside. Soccer is a favorite game! This year we were thrilled to be on the giving side of Operation Christmas Child. After packing boxes in the US for years, this was very special! Tenwek Hospital received boxes to give all of the pediatric patients on Christmas Day. Rees and Mary Taylor are helping prepare boxes for Christmas Day. Heath had operated on this little boy earlier in the month, so it was special to be able to give him a box. We had parties at the hospital, with fellow Kenya missionaries, and with the surgery residents. Below are pictures of our chief surgical residents as “living Christmas trees.” This is the closest we will get to a Living Christmas Tree in rural Kenya! The girls and I continued our now annual tradition of homemade gingerbread houses (more like a village!). This is an anticipated event for the MKs at Tenwek, and one we have come to enjoy. I was much less intimidated this year by the lack of the “kit” and work involved to DIY! And just for fun…A Christmas tree topper you will only find in Africa! Tenwek Hospital has become a referral center for the sickest and most complicated patients in the region. While our physician services are free through the support of our donor-team, the hospital operates by patient fees. The Tenwek Compassionate Surgical Fund lets us give free or discounted services to the most needy of our patients, and is critical in allowing us to offer quality care to the poor in our community. Most surgeries here can be covered with $400. This sustainable project implemented with our national partners is designed to help support the daily needs of our local orphans. 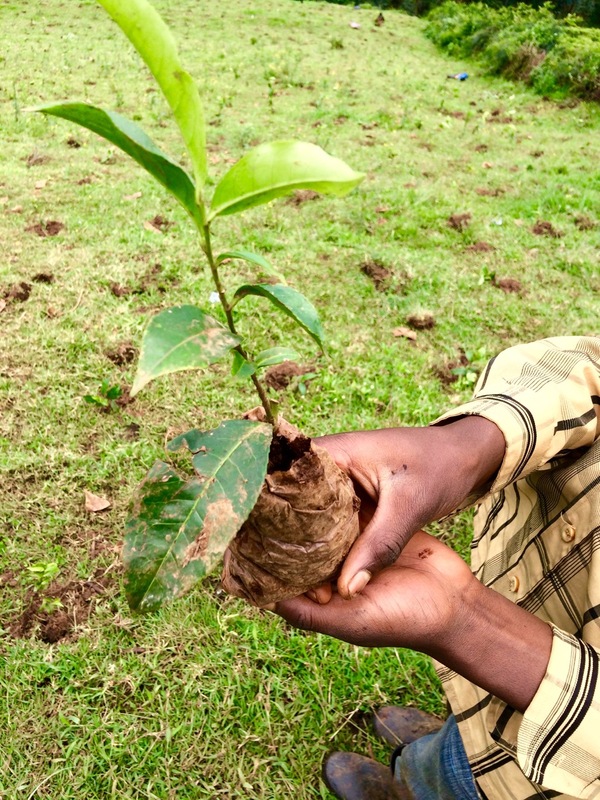 One acre of tea plants costs $250. 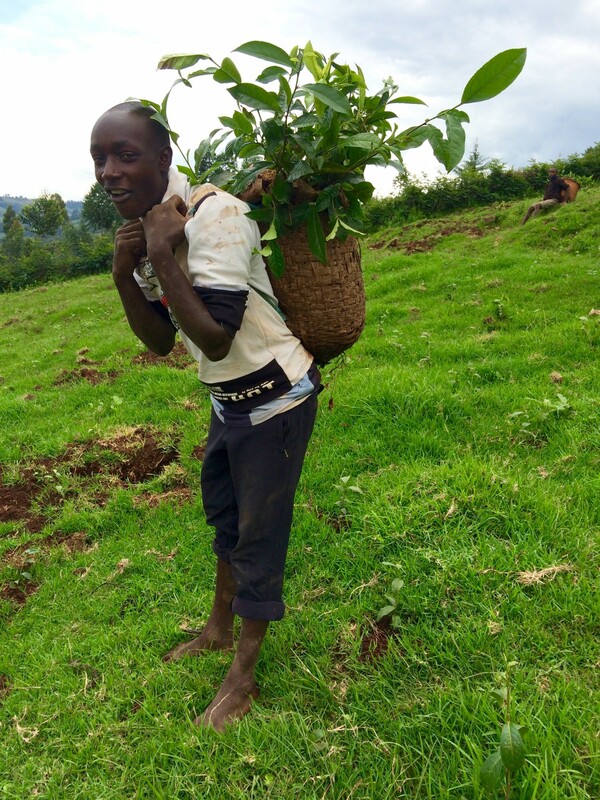 Help plant fields of hope through the Tenwek Orphan Outreach Fund. One 45 pound sack of corn costs $50. One 45 pound sack of rice costs $50. Each of these sacks can feed 50 children for 1 month! 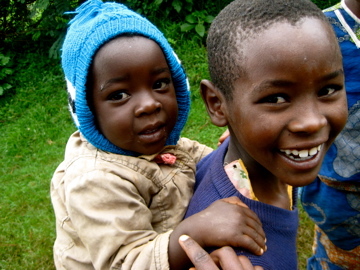 Invest in a healthy future for our community through the Tenwek Orphan Outreach Fund. Unfortunately schooling here is not free. One child’s preschool fees costs $75; One child’s elementary school fees costs $125; One child’s high school fees costs $500. Invest in opportunity through the Tenwek Orphan Scholarship Fund. Thank you for considering a gift to support our Kenyan community in meaningful and lasting ways. Let us each seek to share the great great love of our Savior this season! I’m feeling a bit nostalgic today and thought I would reflect on our recent summer. I love summer. I have never been one of those moms who is ready for school to start. I love the late warm nights and slow lazy mornings of summer. I might live in an eternal summer if I could. For my past ten years of parenting, thoughts of summer have conjured words like sun, beach, peaches, cook-outs, cousins, grandma’s house, lake, camp. 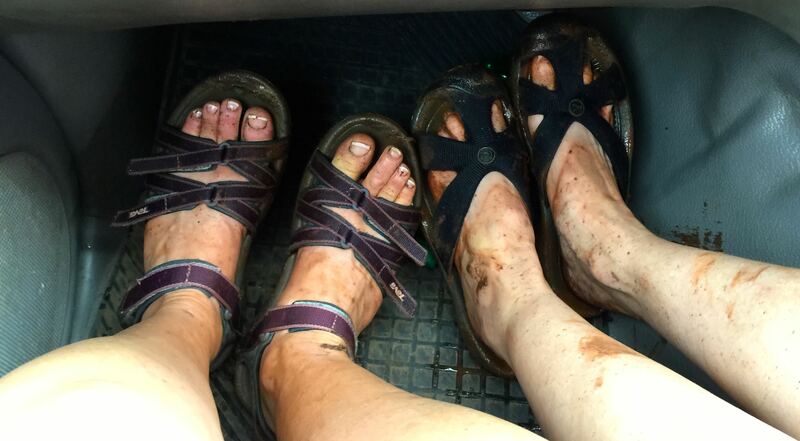 This year however, my summer memories hold words like goats, mud, and babies. Thankfully, it still also holds memories of cousins and beach and sun! “Summer” in Kenya is very different. For starters, there isn’t really a seasonal summer. Being in the southern hemisphere, the months of June through August are actually our cooler months. Now “cool” is relative, as we almost always have sunny days with warm temperatures reaching near 80 degrees. In this way, our weather here is kind of like a perpetual enjoyable summer, without the sticky humidity of my US summers. So here, we define “summer” in terms of our break from school. And we did take a break from school. On our first day after finishing school, we greeted Heath’s sister and family for a visit. This started a summer of experiencing Kenya with and through a stream of visitors…family, friends, pastors, and short-term medical staff. 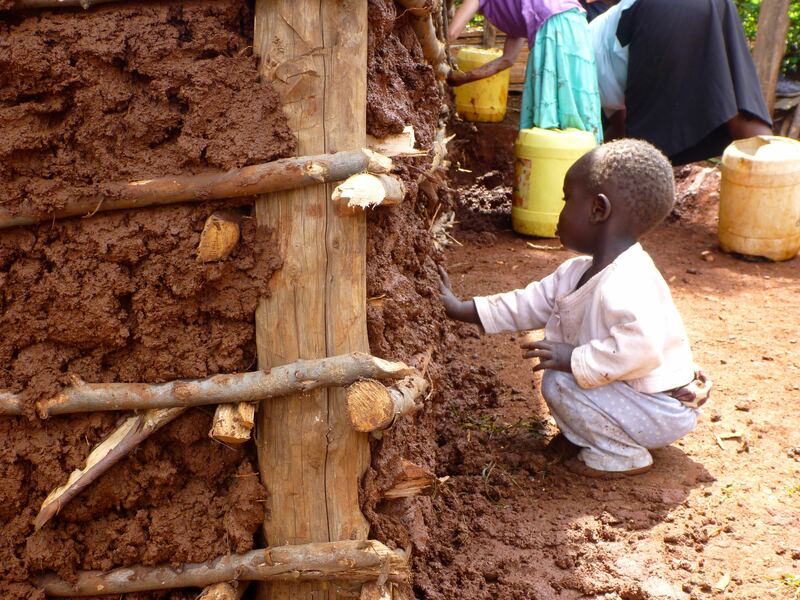 We helped mud houses, colored and painted with orphans, held babies, took walks through the countryside, visited with Kenyan friends, and took safaris. We were so fortunate and blessed to be able to share bits and pieces of our lives here with friends, family, and visitors. I am thankful that we have memories with these special people in our new home. We hope that their visits here let them connect more with us in our new life, and even more so, than it will give a bigger and fuller and more real picture of God…as God of the universe and God of all people. 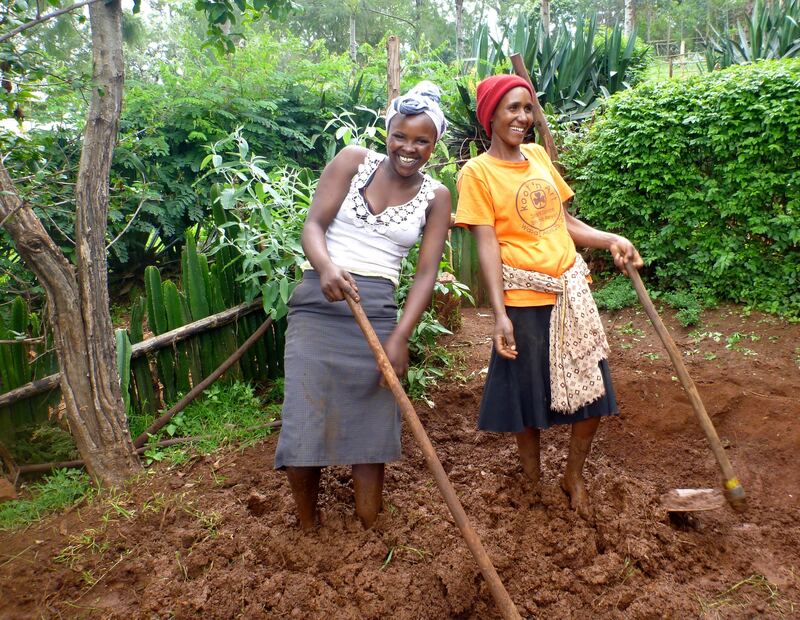 Amazing Kenyan ladies making the perfect mud. 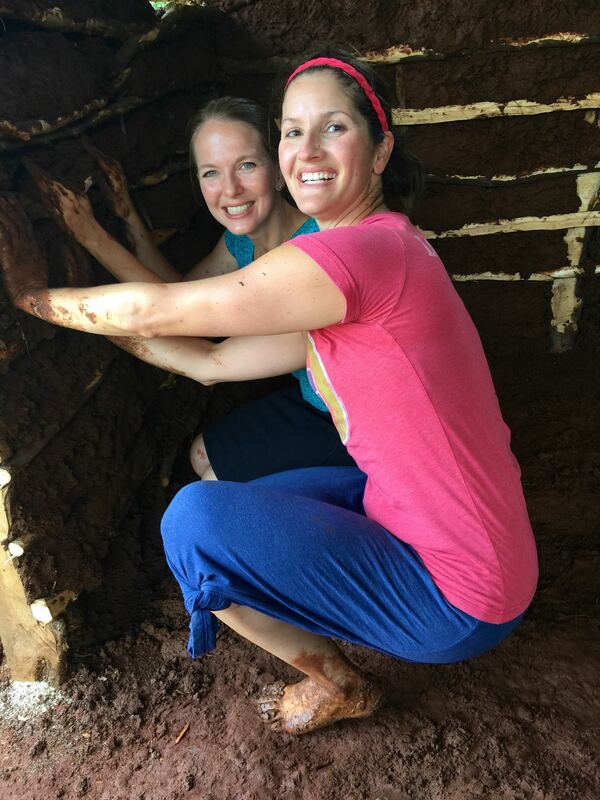 Sabrina and I, attempting to “mud” a house. This little guy is getting an early start on his mudding skills! Goats are more fun than mud! 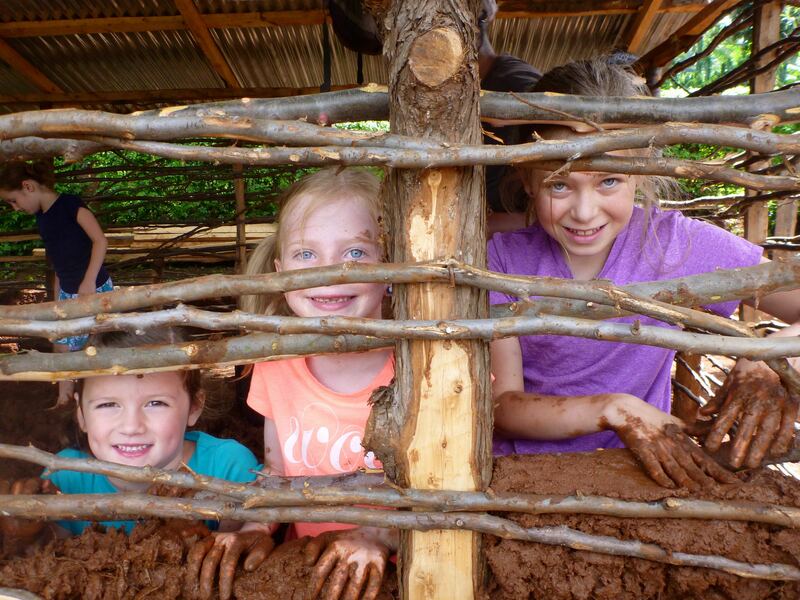 These girls were not afraid to get dirty! More than 50 ladies fit into the small house to sing blessings and praises for the widow who received the house. Then we were gifted with congas and chai cups. I think we left the more blessed! 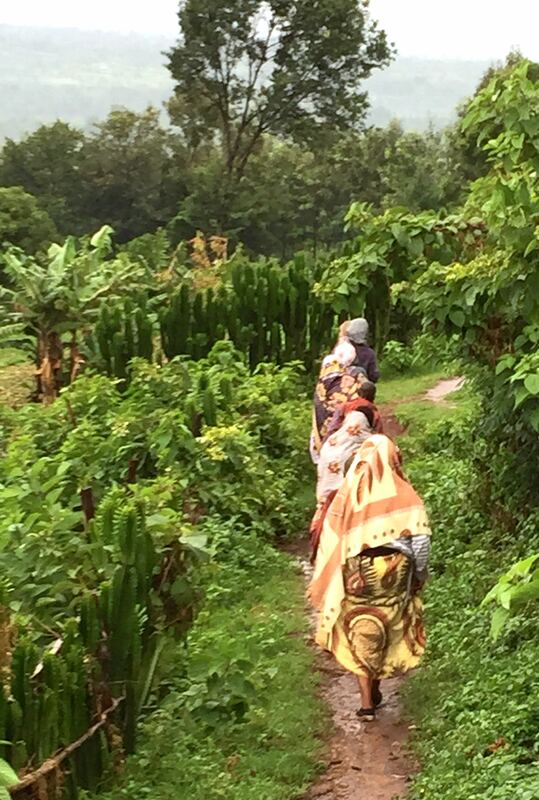 The trek back down the mountain was wet and slippery and deemed to treacherous for our “babies” by the Kenyan mamas…So they hoisted our kids onto their backs and carried them down. These women never cease to amaze me! 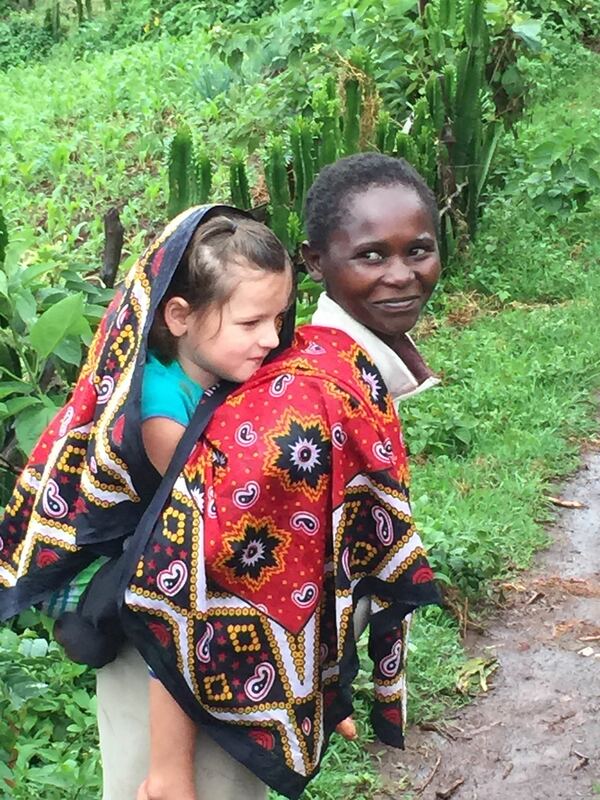 Bella getting a ride from a Kenyan mama. 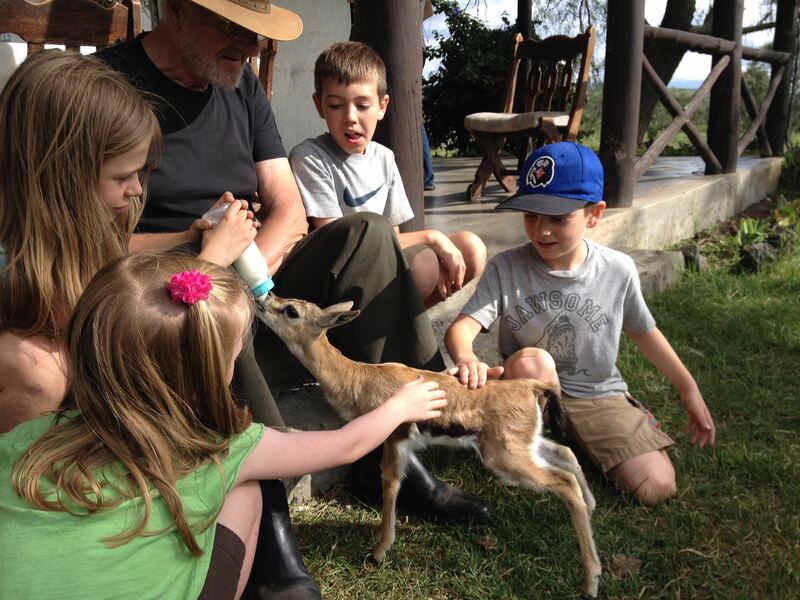 The girls and their cousins helped feed a baby gazelle. 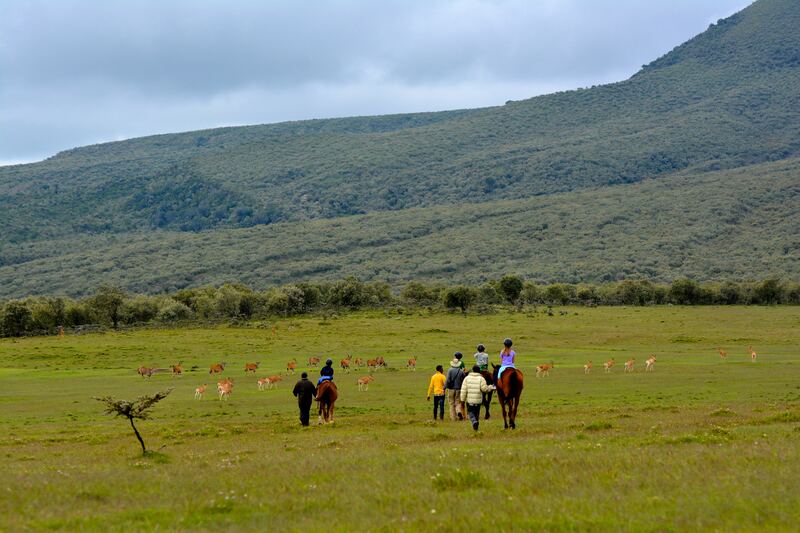 The kids explored the Kenyan plains on horseback…with hartebeest, gazelles, and zebra. 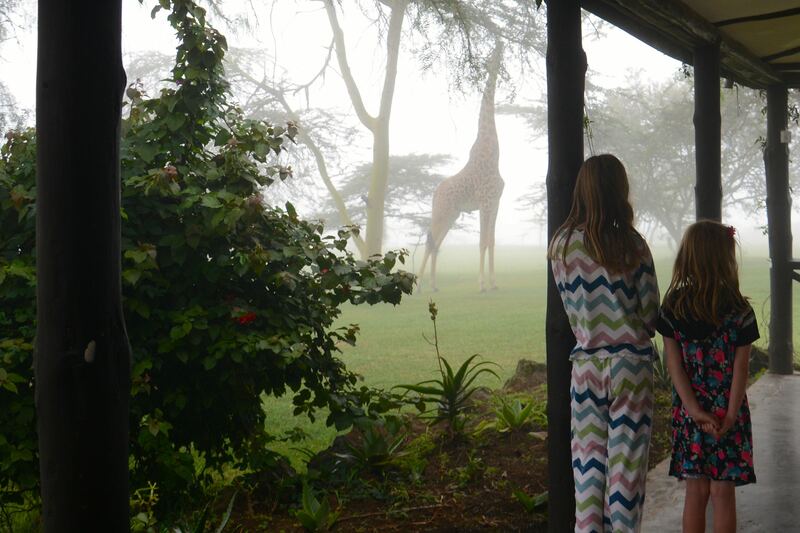 Nothing like starting the morning with a giraffe on your porch! We loved introducing long-time friends to new friends. These kids could have colored all day long! Claire helping with water-paints, finding joy in the simple things. 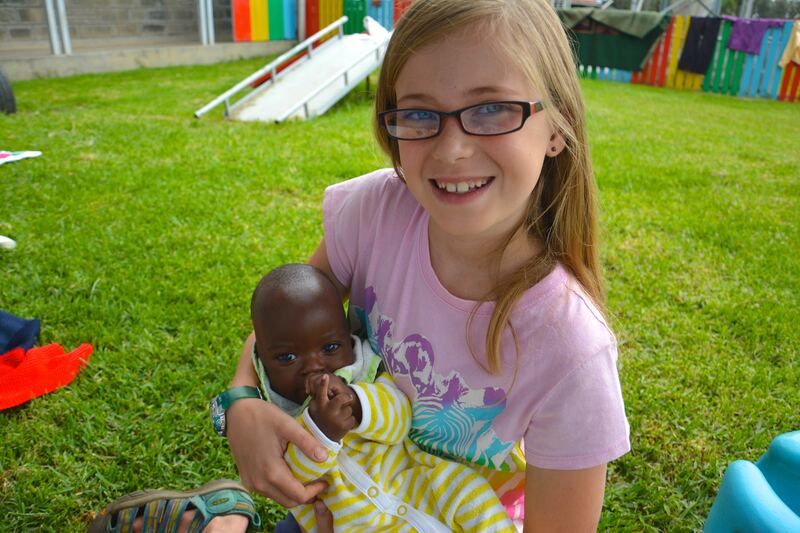 Rees holding a sweet little one at The AGC Baby Center (orphanage). Mary Taylor loved making this little one laugh. Isn’t he precious?! Claire was a big part of our spring and summer…In addition to serving in many ways, she filled the girls’ days with fun activities during August when I worked full-time. We look forward to seeing how God will use her in the world! 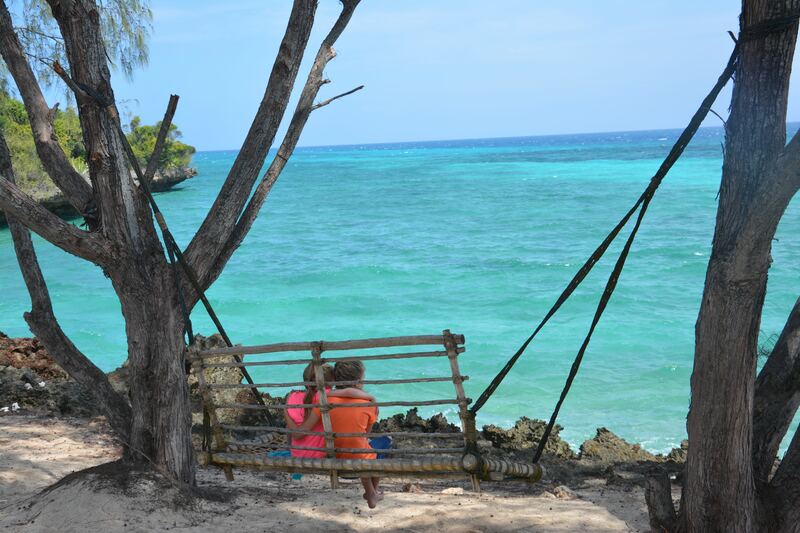 Sisterly love and an amazing view! 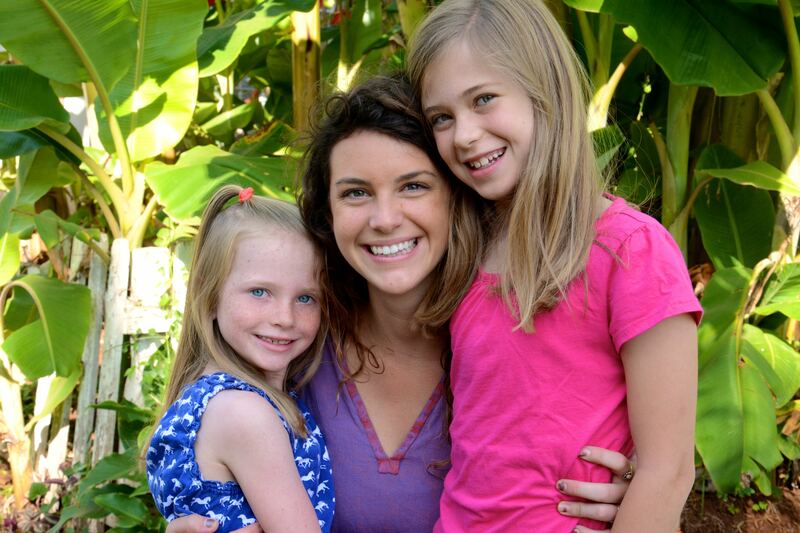 Rees spent her entire 11th year in Kenya. We celebrated Kenyan-style! Can’t you tell that some serious memories were made in these flip-flops? !